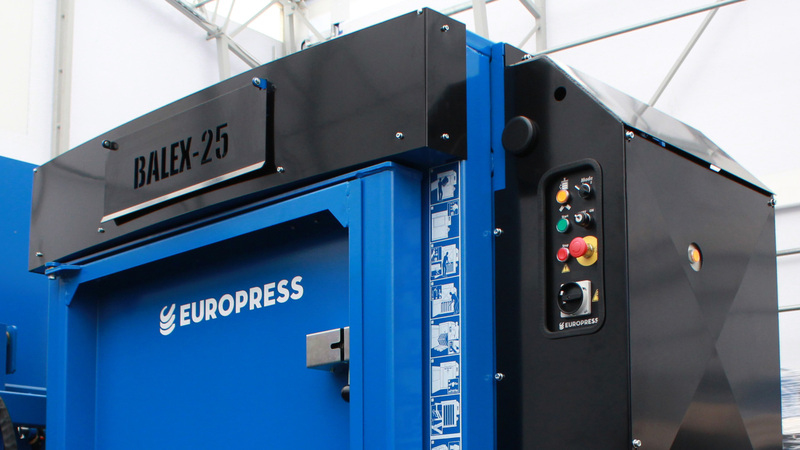 Europress Balex-25 is a compact vertical baler for wide range of uses. 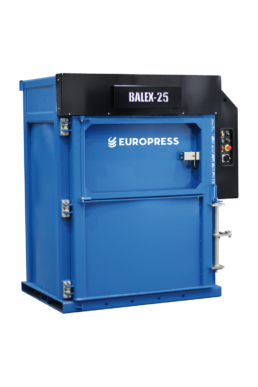 With its 25 tons compressions force, Balex-25 produces very dense bales weighing up to 300 kg. 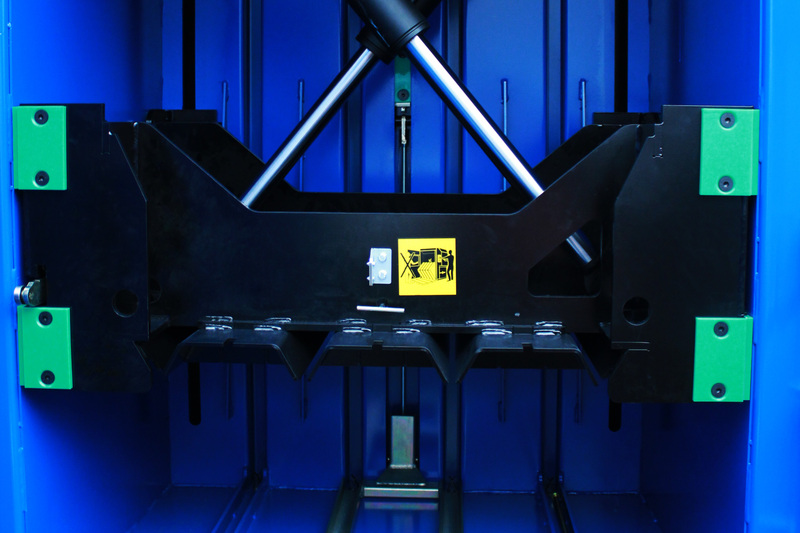 The cross cylinder design of the baler ensures a small footprint. 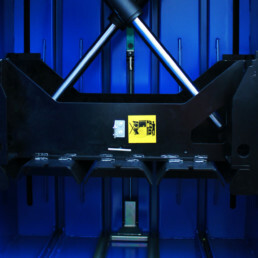 With its low overall height of just 1,950 mm, it is easy to place in limited space. 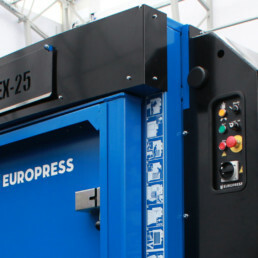 The dual mode function features two separate programs to optimize the balers for different refuses. 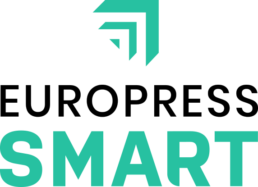 They are suitable for a wide range of materials including cardboard, plastics and textiles. Its large infeed opening and fast cycle time of just 23 seconds ensure easy compaction of various materials. The operating noise level remains low despite their stable and fast compression to produce very dense bales.